Not all professional chefs work in the high-pressure, long-hours kitchens we so often hear (and talk) about. Often some of the best chefs, lured by stable hours and the ability to make an impact without having to own a venue, are turning to institutions to fan their culinary flame. Hospitals, aged care facilities, schools and army bases are home to some of the best chefs in the country. Some are working to reimagine menus resulting in restaurant-quality fare for patients, visitors, staff and residents. For patients in a hospital, for example, food is often one of the only things they have to look forward to, and for hospital employees and visitors, the café is often a welcomed place of calm amongst the stress of the hospital’s hallways. Because of this, many hospital foodservice departments are ramping up their offerings to create a comforting environment based around good food. Meanwhile, although there may be a cultural issue in the perception of a career in an aged care facility, more and more chefs are realising it is a genuine career pathway (and lower stress alternative to working in a restaurant). What’s more, as more food-obsessed baby boomers make their way into the nation’s aged care system the demand for high quality food will rise and aged care facility chefs will be able to shine. Similarly, chefs working at boarding schools, residential colleges and army bases need to be able to keep a large audience fuelled, satisfied and inspired with a focus on health and often needing to stick to a budget. These chefs are using their culinary skills and creativity to serve hundreds (if not thousands) of meals a day. 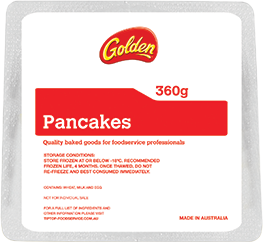 If you are cooking or creating in the health or aged care sectors, look out for bread products with soft chew textures. 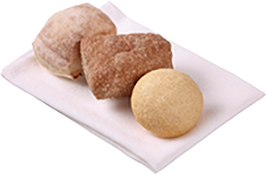 Health is always a concern in institutions – where diners aren’t going out for a ‘special treat’ so make sure you consider the fibre and salt levels in the products you serve. Consider sliders, which are not only ideal for a small portion serving but also allows a variety of flavours on one plate. These are perfect across the entire institutional sector. 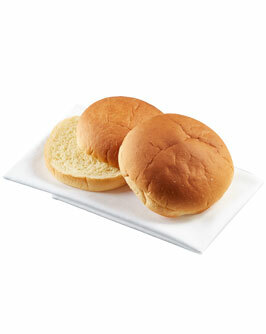 If you work in a school or childcare consider smaller products like English muffins which are perfect for little hands. Obviously cooking in institutions presents many challenges – not least choosing a supplier that will meet your needs as you reimagine what it means to cook for the masses. Contact us to talk about how we can help you create delicious meals with no waste and no fuss. 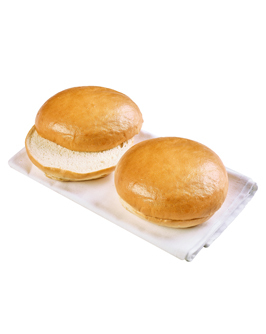 Our quick-to-table products like Golden Pancakes, Speedibake Dinner Rolls and Tip Top Gourmet Burger Buns are available frozen nationwide through foodservice distributors.